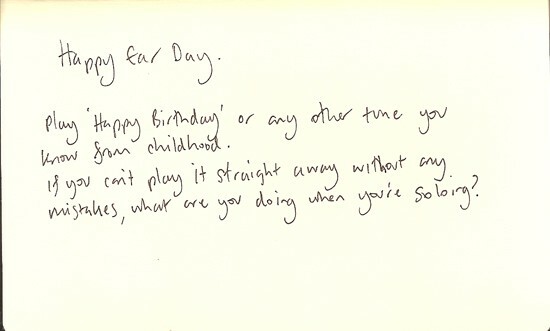 Try this: Play ‘Happy Birthday’ or any other tune you know from childhood. If you can’t play it straight away without any mistakes, then what are you doing when you’re soloing? Why are you worried about the altered scale, and triad pairs? Get that connection happening where you can play simple tunes that you’ve known from infancy, starting anywhere on your instrument. Unless the first thing you heard was Pierrot Lunaire, then I’ll let you off.